As an avid golfer, I’ve enjoyed watching you play. I vividly remember a picture of you in Sports Illustrated, a skinny kid at Stanford, carrying your own bag down the fairway. I followed your U.S. Amateur championships and saw you in person at your first Masters. With 14 Major titles, you’re undoubtedly one of the greatest golfers to ever play the game. Like everyone who regularly watches golf, I’ve witnessed your plight the last few years. I’ve endured the endless commentary regarding your recent lack of wins. It hurts to see you struggle to find the missing ingredient that will return you to the leader board. I don’t know nearly as much about golf as you or your myriad of coaches and critics. But I do know a little about human nature. In an effort to help you find peace and ease your pain, I’d like to offer the following suggestions. I offer these for selfish reasons. I would truly enjoy seeing one of the greatest golfers in history finish his career on a spectacular note. Forget your swing. 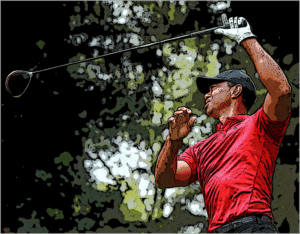 Your swing won you 14 majors, more than any other golfer save one. It’s a great swing and certainly good enough to win again. Quit obsessing about perfect mechanics. The perfect swing doesn’t exist. Your wasting precious time chasing a phantom. From the standpoint of mechanics, you already have everything you need. Forget about it and grip and rip. Make peace with yourself. You don’t need to prove anything to your fans, your critics, or yourself. You’ve already given a lifetime of great entertainment to the golf world. You’ve achieved the highest goals in the game. You don’t have to win any more tournaments to be great or complete. Relax and have fun. Celebrate your fans. Resolve to play out the rest of your career for your fans. Sign every autograph, slap every hand. Toss your ball to some kid after every hole and make eye contact with his parent. Occasionally walk under the rope and chat with regular guys. Pay attention to, and recognize those of low stature. Connect with your fans as an imperfect human being. I think you’ll be shocked at the positive reaction and the outpouring of genuine love. Celebrate the game. Reconnect with the love that brought you to the game in the first place. Try to remember the days when you played for love instead of money. Take a few moments before every tee shot to realize how lucky we all are to dedicate any attention to a silly game like golf. Resolve to spread the love everywhere you go. Smile, wave, and mean it. Become the game’s greatest ambassador. Stay present – feel, don’t think. You know everything you need to know. At this point, thinking is the enemy. Thinking is turning your mind into a vicious monster. Let your mind go quiet by turning your attention inward. Forget about swing coaches and engage a Zen philosopher. Feel the blood in your veins as you approach the tee. Feel the ground under your feet as you walk to the next shot. Feel the sweetness in your hands when club and ball meet at the point of singularity. Most of all, with a quiet mind, feel the beauty and love all around you. Every week you get to play the greatest game in the world.